How do I get my photos and videos off my iPhone? It seems like it would be a difficult task to get your photos and videos from your iPhone without iPhoto or Aperture, but that is not the case. You might be surprised but the program is already installed on your Mac. 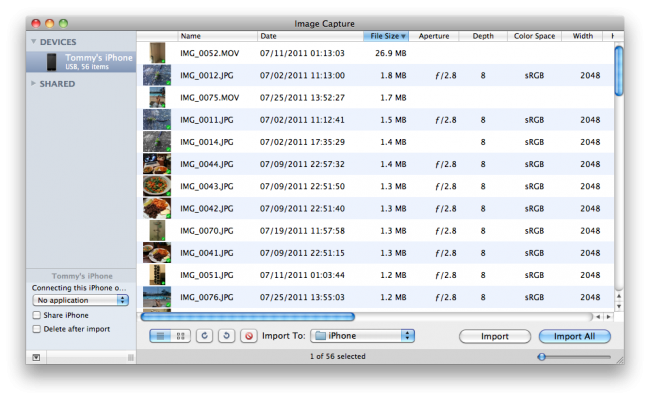 It’s in your Applications folder, called Image Capture. All you need to do is plug in your iPhone and launch the application. Then choose a destination folder/location and click the “Import All” button.